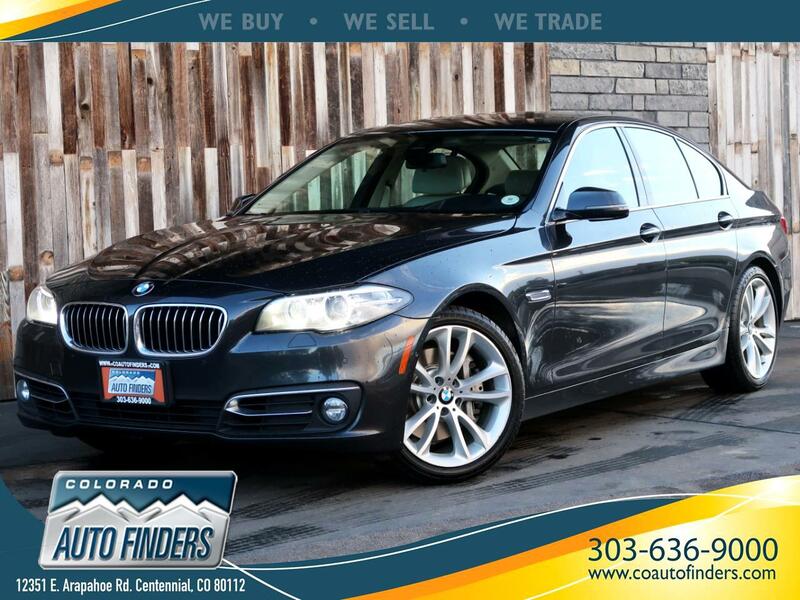 2015 BMW 535I for sale in Centennial, CO. Sporty Stylish Ultimate Driving Machine with the Latest Style & Electronics, with xDrive All Wheel Drive, phenomenal Twin-Turbo engine, Driver Assist Plus, Luxury Line, Premium and Cold WeatherPKGS, Heads Up Display, Navigation System, well cared for and regularly maintained. These are just some of the reasons to own this BMW. 1-Owner locally owned gently driven and originally sold for $69,885 it presents a phenomenal value today! - Free! One-Owner CarFax report. - Bluetooth with USB-/phone & audio smartphone interface. - Back-Up Camera, Blind Spot Monitoring. - Keyless entry & engine start, Power Folding Mirrors. - Power open/close trunk lid. - Satellite radio with Logic7 sound system. - Smooth, quiet, powerful and stylish to own and drive. - With 64,171 miles it was serviced, mechanic inspected and certified for additional four years optional Bumper to Bumper extended service contract.